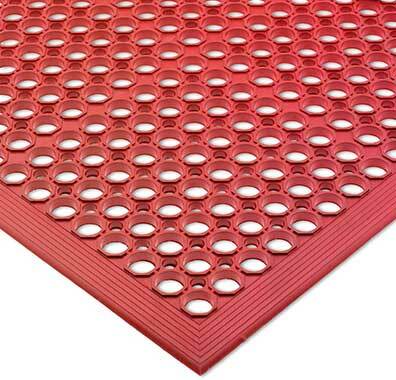 Commercial floor mats hold a variety of benefits in a kitchen and restaurant environment. They reduce staff injury on slippery floors, as well as absorb water, snow and dirt at the entrance from foot traffic. myBoelter also provides bath mats for your hospital or hotel bathrooms. Floor mats are an integral to the operation of any food service for safety and efficiency of both customers and staff.